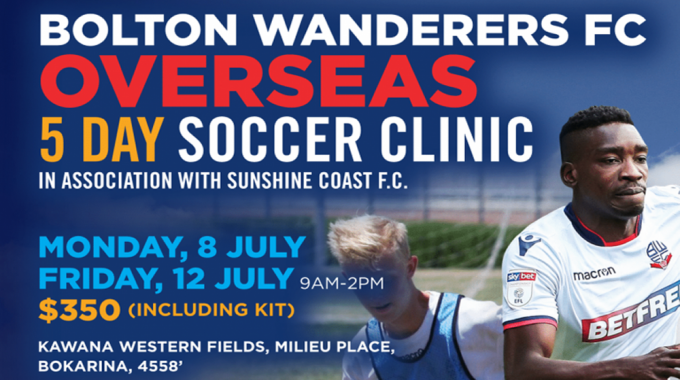 The club are delighted to announce that we have entered an official partnership with Bolton Wanderers Football Club and will be flying out two of their coaches to work with local Sunshine Coast players this July. The camp is open to players from all clubs within the Coast and is sure to be a fantastic development opportunity for all. 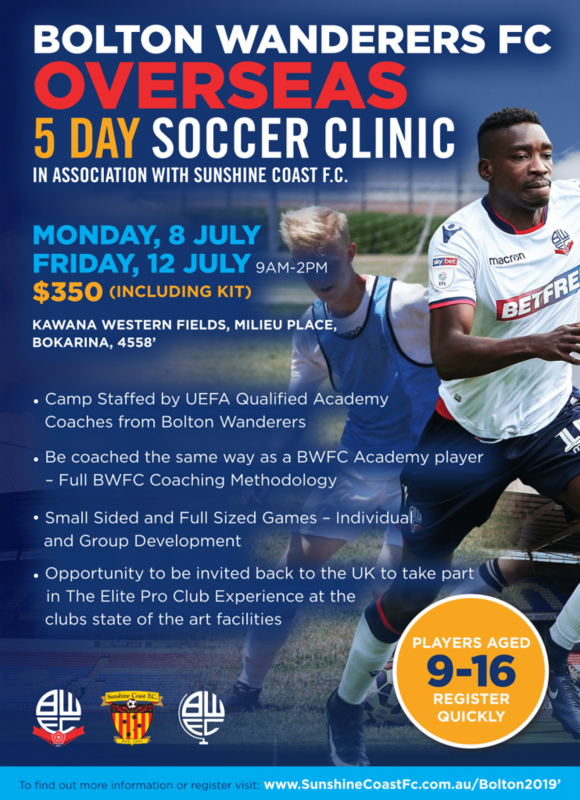 The camp will be lead by Danny Clarke (UEFA A Licence) who is currently Lead Coach of BWFC’s u13s and the International Academy program. Location: Kawana Western Fields, Milieu Place, Bokarina, 4558.